Read the Truth about Peace Flotilla Show your Support for Israel+A play on the classic American image of the Uncle Sam recruiting poster, this T-shirt demands that you – supporters of Israel – keep enemy nations from controlling media coverage in times of crisis.+Uncle David's top hat bears an Israeli flag, and three lines of all-caps text read 'I want you for Israel's PR corps'. Color design, black lettering with red outline.+In these turbulent times, it isn't always easy to sort out fact from fiction. War is hell, and media reports are broadcast faster than they can be checked. Don't sit on the sidelines while Israel is slandered! 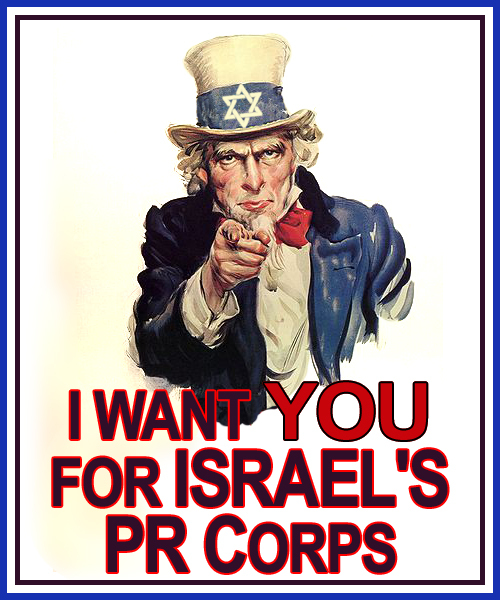 Don't sit quietly by while Israel's case is hijacked by the international media! Keep on top of Israel news, and give your aid to Israel's struggling PR.+In a crisis like Monday night's raid on the flotilla to Gaza, the most important thing you can do to help Israel is make sure people have the correct information. 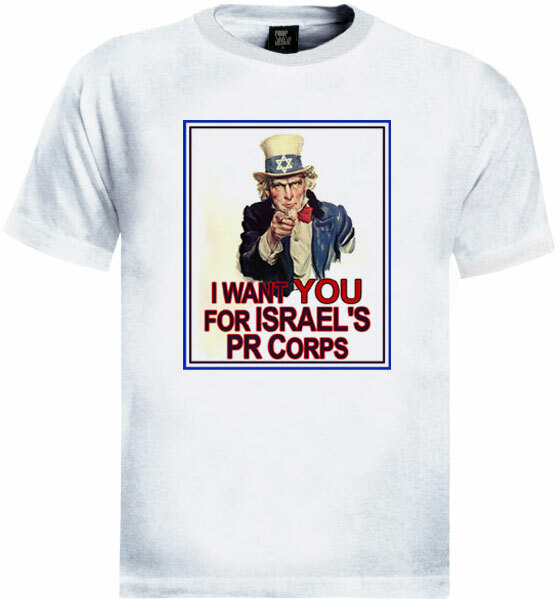 Keep on top of Israeli news, and give your aid to Israel's struggling PR.+This exclusive T-shirt design lets you make your case and influence hearts and minds!